Ford will roll out 16 electrified cars and vans from 2019 on, as the company goes all-in to catch up and overtake European competitors in alternative drivetrains. Having put the United States on wheels with the Model T, the Blue Oval is now promising an electrified model for every taste and price point. Performance and economy-boosting mild hybrids in the Fiesta and Focus, a Toyota Prius-style ‘self-charging’ hybrid Mondeo, a plug-in hybrid version of the all-new Kuga with 31 miles of zero emissions range and a range of electrified commercial vehicles; Ford might be late showing its hand, but it appears to have been sitting on a full suit. Except in pure electric vehicles, that is. While reaffirming its commitment to a flagship pure EV – ‘a Mustang-inspired all-electric performance SUV arriving in 2020 with 370 miles of range’ – and confirming a zero emissions Transit for 2021, the firm is keeping tight-lipped on solely-electrified mainstream passenger cars. They will start being announced later in the year. So for now, here’s a whistlestop tour of Ford’s mostly hybrid sweet 16. Four out of five Fords sold in Europe are cars (something the company is vowing to change with a revamped SUV line-up), so the Fiesta and Focus may only be mild hybrids but they’re important. The MHEVs deploy a 48-volt electrical system, which can harvest energy from braking and coasting thanks to a belt-driven integrated starter/generator that replaces the alternator. The starter/generator also works as a motor, taking the strain off the 1.0-litre three-cylinder engine. This saves fuel – Ford claims 57.6mpg and 112g/km of CO2 in the Fiesta EcoBoost Hybrid, compared with 54.3mpg and 118g/km for the punchiest, non-electrified three-cylinder with 140PS. The third mild hybrid car is the Kuga, where the 48-volt system is mated to a 2.0-litre diesel engine. This EcoBlue Hybrid variant is claimed to deliver 56.5mpg and 132g/km of CO2. 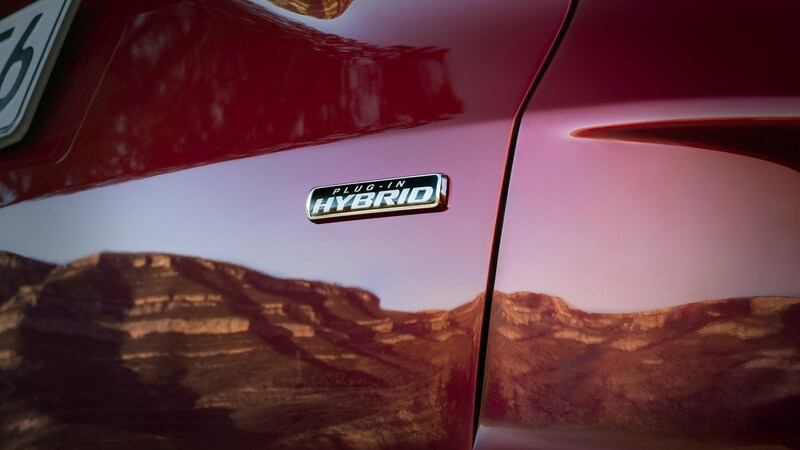 The middle plank of Ford’s hybridisation strategy are ‘full’ hybrids, which add a bigger battery pack and actual electric motor to the drivetrain. The principles are the same as the Toyota Prius, and Ford similarly employs a fuel-saving, 2.5-litre Atkinson cycle petrol engine in the Kuga to optimise efficiency, and a power-split automatic transmission to convey torque to the front axle or all four wheels. Ford predicts 40 per cent of Kuga sales will be hybrid, with the plug-in and mild hybrid versions most in demand. Conventional internal combustion engines make up the rest of the range. The revised Mondeo hybrid – now available as a wagon and in ST-Line sporty trim, as well as a saloon – has a 187PS drivetrain, combining 2.0-litre petrol power with an electric motor. The wagon returns 64.2mpg, with 101g of CO2 per kilometre – figures that make it cheaper to run than a Mondeo diesel if you’re driving fewer than 12,000 miles a year, Ford argues. 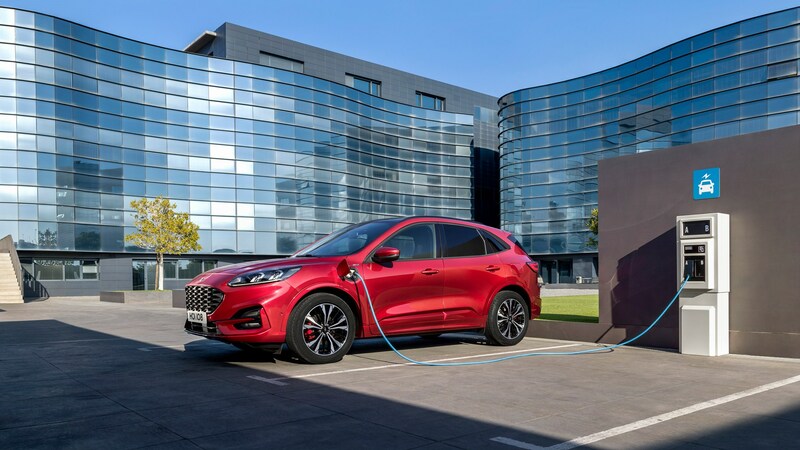 The plug-in Kuga uses similar drivetrain components to its self-charging sibling, but adds a bigger 14.4kWh battery pack. The ability to run for extended periods on electric power alone – up to 31 miles – means the Kuga PHEV emits just 29g/km of CO2 in laboratory tests. The final plug-in car is the Explorer, a new SUV for Europe but a mainstay of the US market since the 1990s. The seven-seater is Ford’s new flagship SUV, but it won’t be coming to Britain – volume projections don’t add up for right-hand drive. With an eye on Ford’s requirement to meet tightening CO2 targets, the Explorer will only be offered as a PHEV in Europe. It combines a petrol V6 mounted north-south with an electric motor, generating 450PS and a whopping 640lb ft of torque. That’s typically sent to the rear wheels, but the standard all-wheel drive technology brings the front axle into play if needed to boost traction. Ford is Europe’s top-selling commercial vehicle brand, with the Transit van at the heart of its range. 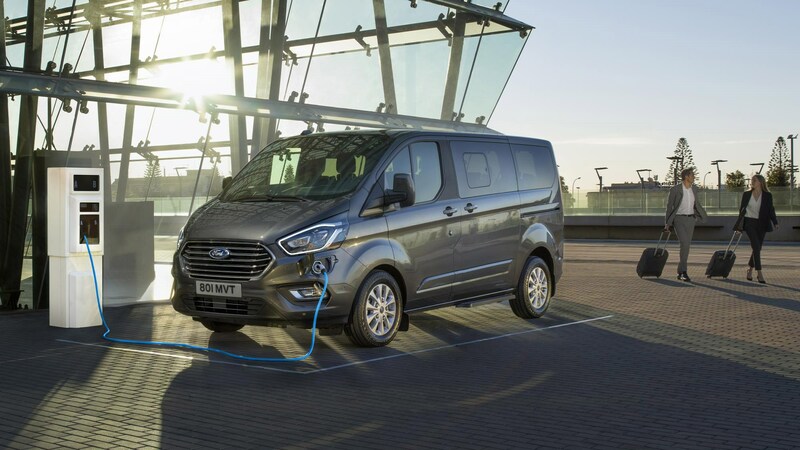 The Blue Oval is determined to keep its big vans relevant, with a two-pronged electrification programme encompassing mild hybrid and plug-in. The mild hybrid mixes a 2.0-litre diesel engine with 48-volt mild hybrid system on the Transit, Transit Custom and Tourneo Custom people carrier. Expect a 3 per cent efficiency improvement in general use – or 8 per cent in stop/start city use typical of burgeoning parcel delivery fleets. Ford sees a real benefit of hybridisation in this type of usage, particularly with the zero emissions plug-in Transit Custom. This is a series hybrid, which means the 1.0-litre petrol engine is only used as an on-board generator to charge the underfloor battery pack; drive is purely by electric motor. ‘The Transit PHEV offers zero emission driving with absolutely no range anxiety,’ says Ford’s commercial vehicle manager Hans Schep. ‘We will be first to offer it in the one-tonne van segment.’ As with the mild hybrid, the plug-in drivetrain will also be available on the Tourneo Custom people carrier. All the hybrid Transits will go on sale by the end of this year.